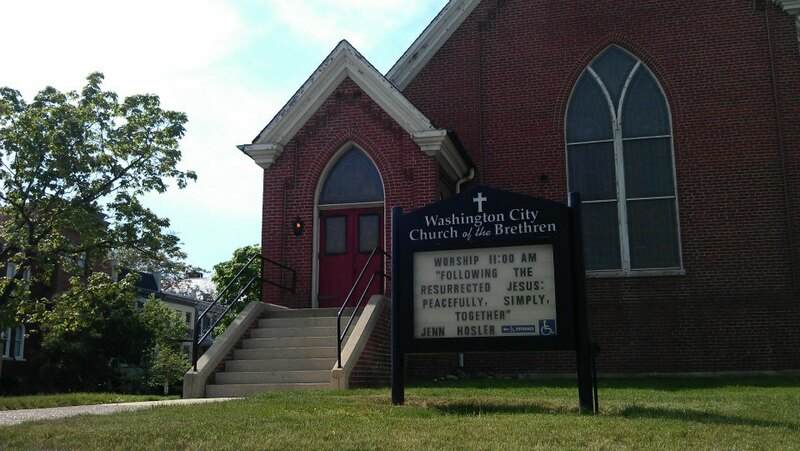 Washington City Church of the Brethren | A congregation on Capitol Hill in Washington, DC. Seeking justice, wholeness, and community through the gospel of Jesus. Greetings from Washington City Church of the Brethren! Our congregation is on Capitol Hill in Washington, DC. The Church of the Brethren is a Historic Peace Church that has its theological heritage in the Anabaptist and Pietist traditions. Seeking justice, wholeness, and community through the gospel of Jesus. We are close to Eastern Market Metro and Capitol South Metro (Blue and Orange Lines). See About the Church and Visiting and Worshiping for more details. Learn more about our congregation and its ministries on Capitol Hill by clicking the tabs above. Who are the Brethren? We hope you find the answers you are looking for and we hope to see you in person. Please contact the church office for further information (office@washingtoncitycob.org). 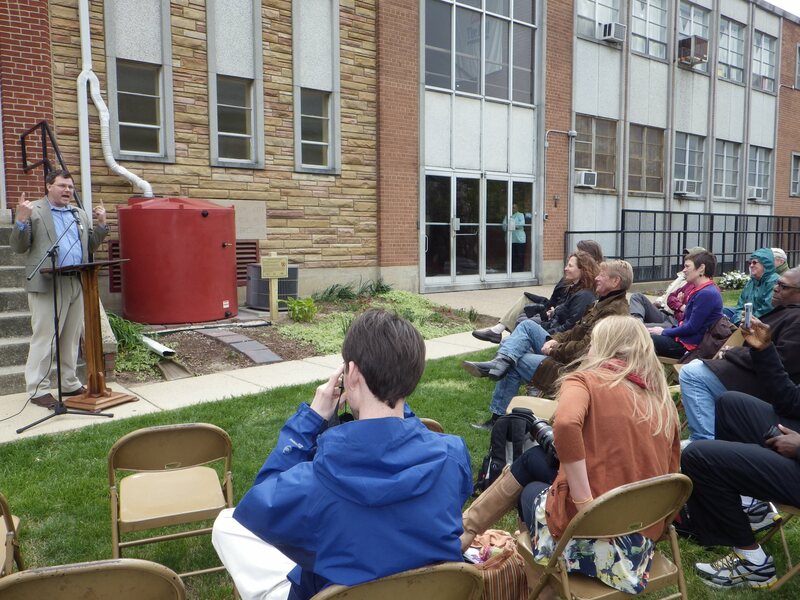 A dedication service for our community rain barrel (Spring 2012).